One person is dead at the scene. Police released few details Thursday night. Kirkland police have released more details about the Thursday evening shooting that left a man dead at a Kirkland grocery store. 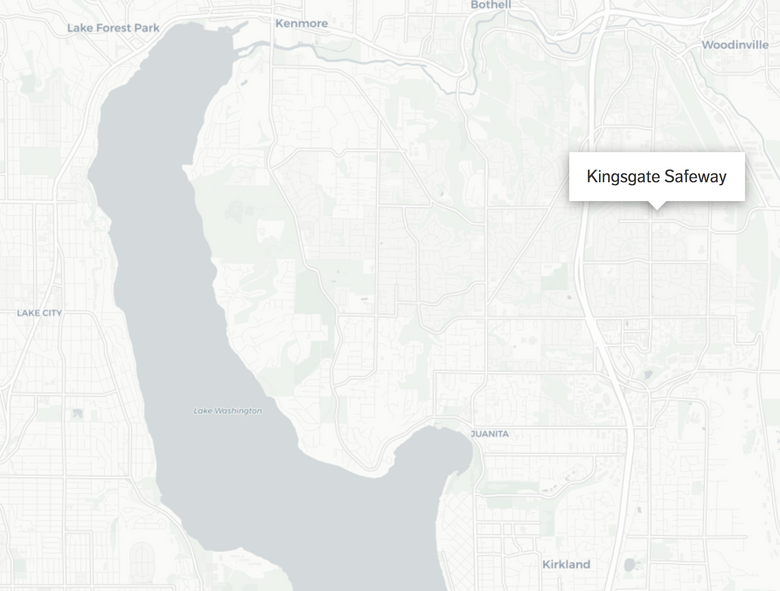 The shooting involved a Redmond detective and took place at Kingsgate Safeway at the southeast corner of Northeast 144th Street and 124th Avenue Northeast shortly after 5 p.m. Thursday. Redmond police said detectives had been searching for an individual they considered “armed and dangerous” when they confronted the man at the store’s gas station. Kirkland police did not release the identity of the 39-year-old man who was shot. The identity will be withheld until relatives are notified. According to authorities, the man was being taken into custody while he was adding fuel to his vehicle when shots were fired. Kirkland police said there was a firearm located on the victim but did not specify where the weapon was located or whether he had reached for it before he was shot.